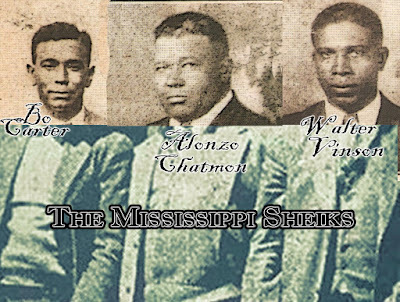 Like Mary Johnson, Tommy McClennan, and Robert Petway, Yazoo City's Arthur Spires (1912) became part of the massive migration of Southerners (mostly black) to the North in the 30s, 40s, and 50s. Usually they left on the Illinois Central in search of opportunity. Mary got off in St. Louis. Tommy, Robert, and Arthur traveled on to Chicago. By the late 1940s, Spires had been able to found his own band, The Rocket Four. Fortified by two or three electric guitars and a drumset--and sometimes including Little Willie Smith on harmonica--the blues had become urban. By 1952 Spires' producer, Leonard Chess, gave him the state name he would share with Elvis' inspiration, Arthur Crudup: "Big Boy." No full CD is devoted to his music at this time, but selections are avail-able on Morris Pejoe/Arthur "Big Boy" Spires and Chess' Chicago Blues Anthology. His "You Can't Tell" (from the first CD) is irresistibly funny. Robert Covington (born Robert Lee Travis, December 13, 1941, in Yazoo City) would go north, too. A drummer in the band at Alcorn State, he would arrive in Chicago by 1962. 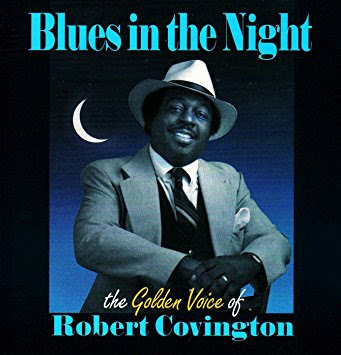 After serving in the bands of Little Walter, Buddy Guy, and Sunnyland Slim, Covington struck out on his own as a vocalist with his own club band, recording two albums. His rich baritone earned him the title "Golden Voice of the Blues." Look for his Blues in the Night CD. 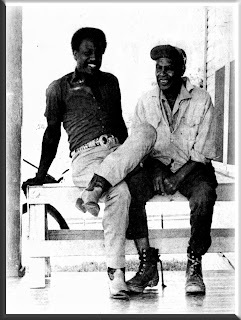 Because blues music was establishing broad national and international appeal by the early 60s, Jack Owens (born L. F. Nelson, November 17, 1904, in Bentonia) and James "Son" Thomas (October 14, 1926, in Eden) did not have to leave the Delta to be discovered. Producers--from New York City, Memphis, and Germany--with their recording crews searched them out. Both are akin to the earlier "country bluesmen." Jack is often seen as the major student of Skip James. Both Owens and Thomas played amplified guitars and were often accompanied by other musicians (Owens by his partner, harpist Bud Spires of Bentonia, born 1931, the son of "Big Boy"). Son played in the Reagan White House in 1982, while Jack was featured in a Levi's television ad in 1995. Owens and Spires' work can be found on It Must Have Been the Devil; Thomas' recordings from Leland and, later from Germany, are to be found on his Beefsteak Blues (which includes an obscene version of "Catfish Blues"). The most recent Yazoo County native - but raised in Missouri - to sing and play the blues is Mike Henderson (Yazoo City, July 7, 1951). Something of a purist who works with a seasoned four-piece band, The Bluebloods, he offers powerful versions of country tunes like "Pony Blues," Chicago blues classics such as "How Many More Years" and originals including "All My Money's Gone." The listener might want to listen to First Blood (1996) or Thicker Than Water (1998). The ten recording artists mentioned in this series have had, by means of the larger medium of blues music, a significant worldwide impact. Through their music they have exported Southern culture throughout the United States and wherever American troops from the South have been stationed since World War II. Since the blues tradition consistently embraces and reveres its past, the contributions of these local artists is not likely to diminish. This three-part series concludes with this issue tracing the spread of Yazoo-styled blues northward to Chicago and Detroit and from there around the world.